Enjoy the beauty & wildlife of the Pojezierze Drawskie on horseback. 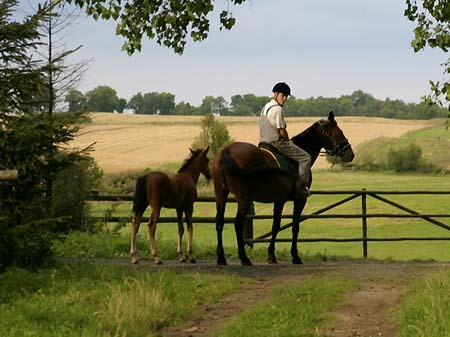 For horse riding lovers we offer excellent terms and riding facilities. In the surrounding neighborhood there is the stud farm “Tordis” run by the Mróz family. “Tordis” specialises in breeding the trotter horses breeding. 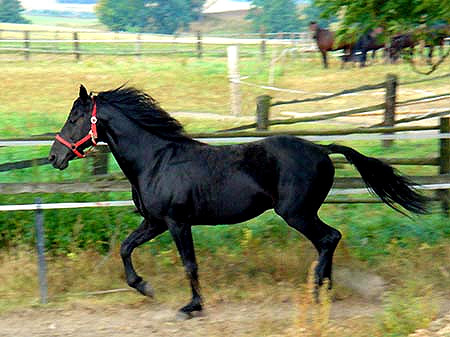 Trotter is a warm- blooded horse that is similar to the Thoroughbred English. Tordis horses are ideal for family recreation because they suit to all needs of the family members. These horses are perfect for outdoor, long distance and wandering rides because of their fit, very resistible nature. They are also very quite, gentle and patient. The sizes of the horses vary between 152-160 cm, and are ideal for children, especially for novices taking their first riding lesson. The area of the Drawski Landscape Park is a perfect destination for bicycle lovers.The hilly and pictorial landscapes, over 400km long signed bike routes invite to the active fun at the wheel. The new sports discipline gained lots of followers. 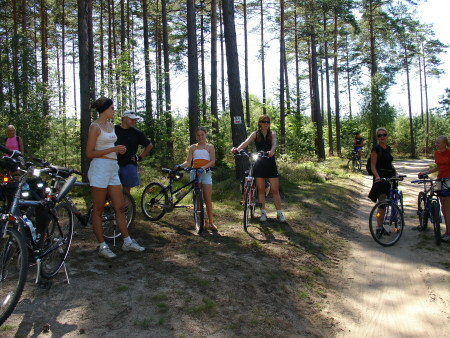 The neighbourhood of Drawski Landscape Park is perfect for doing the discipline. Numerous hiking trails allow for long marches during which we can train and keep the whole body in good condition. Varied coast, many peninsulas and islands on the lakes are perfectly suitable for fishing, kayaking and sailing. 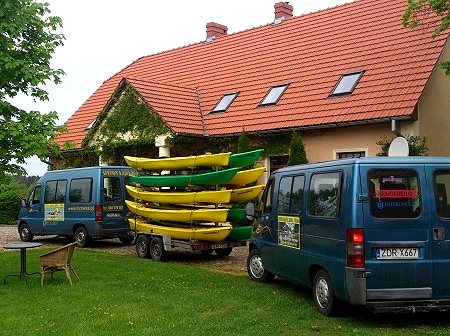 In some places like Słowianki, Siecino, Cieszyno are guarded beaches and rental of water sport equipment. 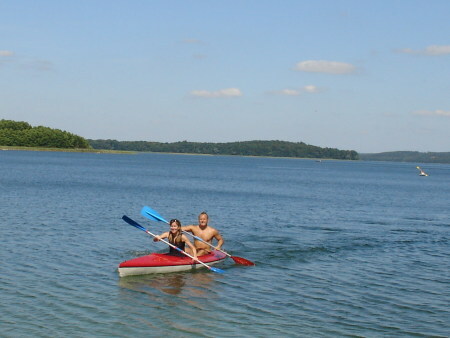 Drawskie lake is sailing paradise for experienced sailors. In the surroundings there are many lakes with most diverse fish types: roaches, breams, perches, pikes, tenches and zanders. 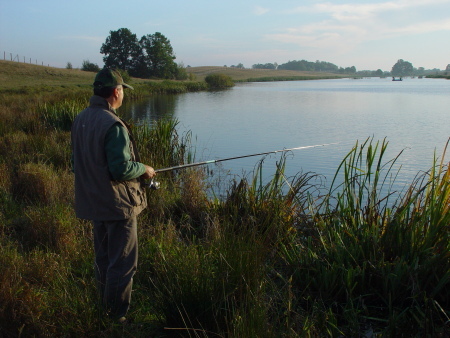 The fishermen prefer the lakes in the valley of the five lakes: Drawskie, Kołackie, Kłokowskie i Resko. In the private ponds fishing subject to charge. 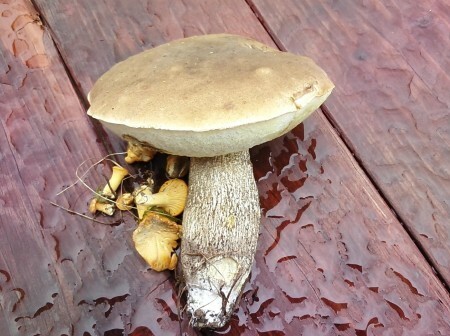 The surrounding forests spread on the surface of 12,700 hectars up. 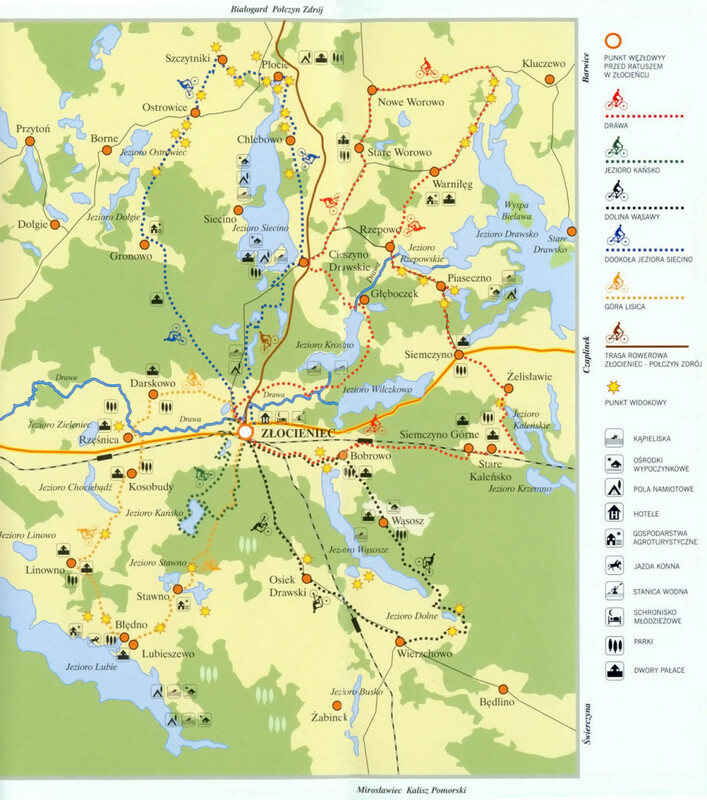 Mostly pine and mixed forests (beech, spruce and larch). 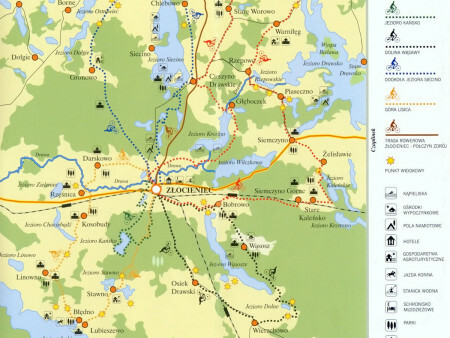 With many wild animal species: deers, roe deers, wild pigs, hares and foxes the region is an outstanding hunting territory.In of the area are the deer and fallow deer breed – recommendable to visit. In the next village you can find studio of the masters of arts and crafts ” angels factory ” Workshops of ceramic production are organized. 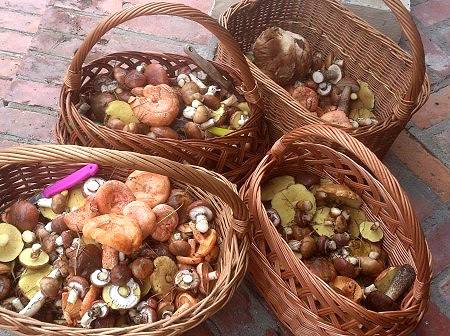 Such picking up mushrooms just a few steps away from home – welcome! 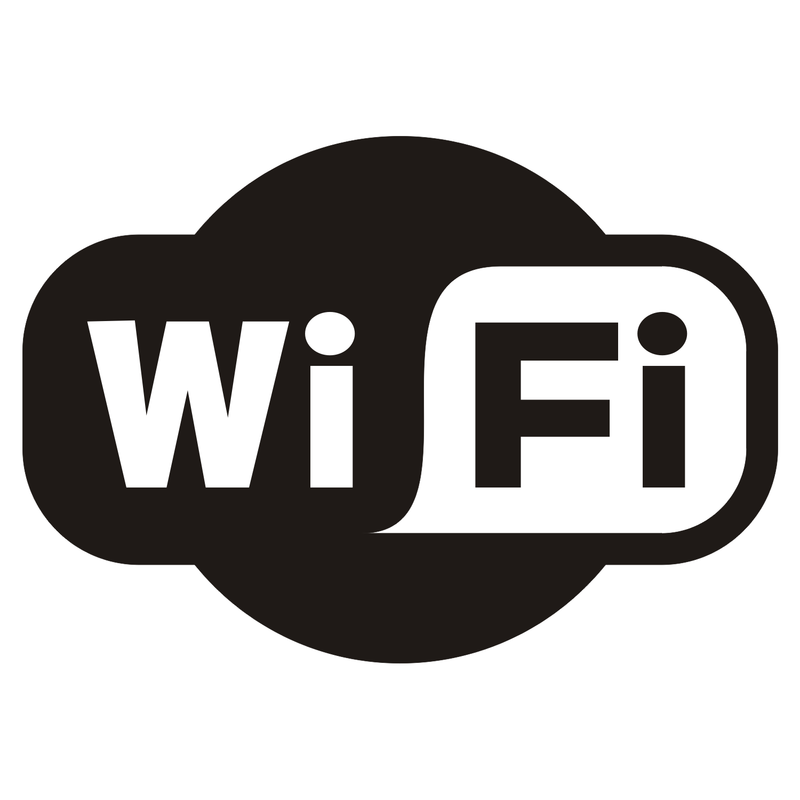 Check availability and book online calendar! Choose the convenient, free date in the calendar, please fill out the form and send request.